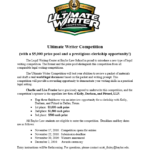 KD&P is a proud sponsor of "The Ultimate Writer Competition" at Baylor Law School. - KELLY, DURHAM & PITTARD, L.L.P. 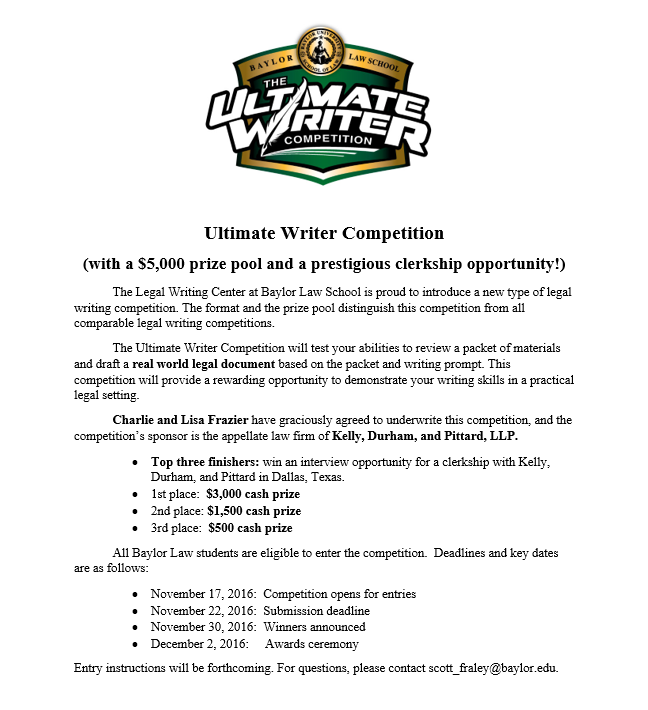 KD&P is a proud sponsor of “The Ultimate Writer Competition” at Baylor Law School. KD&P is proud to sponsor a new writing competition at Baylor Law School, “The Ultimate Writer Competition,” through its Legal Writing Center. Top prize, in addition to cash, is a clerkship opportunity with our firm.